Are you super happy with your email open rates and conversions? If so, you can close this email and give yourself a high five - you go, Glen Coco. 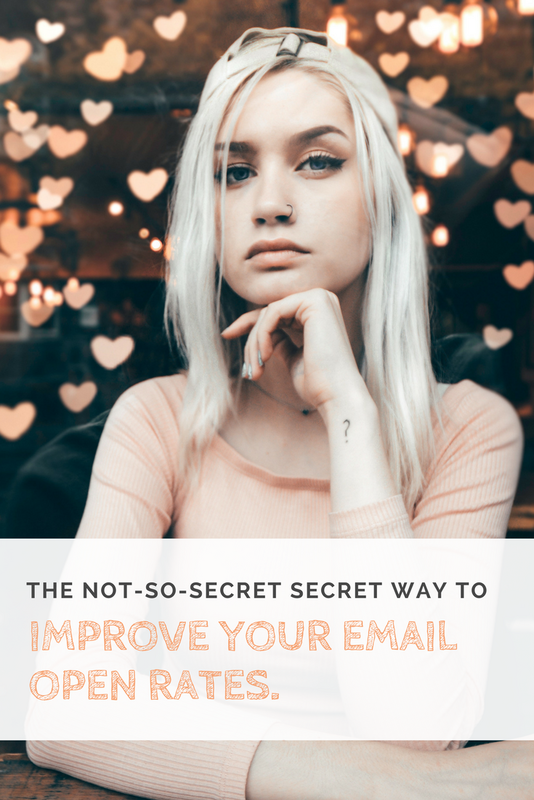 If not, though, you might want to think about the way you're inviting people to your email list. I know, I know, having the MOST subscribers EVER!!1!!!1! sounds like a good thing, but not all email subscribers are equal. When you create your freebie or message your list with EVERYONE in mind, it's like inviting every kid in school to your party. Even the mean ones - the smelly guy who shoved you in the hallway, the evil girl who cut a chunk out of someone's ponytail last week, the jock who may or may not slip people roofies at parties - everyone. Next thing you know, they're handing out flyers and people from other schools you've never heard of and those weird burn-out community college kids (why do they still go to high school parties, anyway?) are showing up at your door, too. You don't want to have that kind of party, do you? Stuff gets broken, someone will definitely barf on your mom's new couch, and the cops will get called - in other words, you'll totally lose control. In email land, what does that look like? You'll start getting people reporting you as spam - even when they KNOW it's not. Your open rates will plummet. And the offers you send out will shrivel up and die from the lack of love. Worst of all, in the mean time, you're paying for all these mean kids to be on your list. BOOOOOOOO to that. If it was me, I'd cut out the people who spent six months getting your messages and not reading them. I'd segment the people who'd never spent a dime with me and do some research to find out what's up with that - I'd send an email just to them and ask what I could do differently for them. (Whether or not I'd do what they asked is a whole 'nother email). And then I'd move forward with highly specific and authentic communications and pat myself on the back every time someone unsubscribed. See you later, mean kid! And THAT'S your food for thought of the day. Thanks for being one of the cool kids at this particular party - I hope you enjoy it as much as I do. Now go thin your email list and build yourself an Uncommonly Good Biz! PS Are you watching my daily videos on Facebook Live? There's good stuff there - try it, you'll like it.